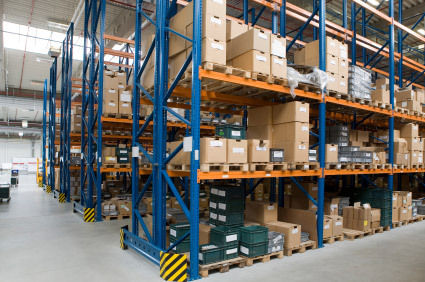 To remain as a competitive force in your industry, outsourcing your inventory management can allow you to focus your attention on other areas of your business that are crucial to your success like providing great service and maintaining solid relationships with your customers. The Minneapolis critical parts logistics company, Expedited Transportation, has helped numerous companies across the state and beyond by overseeing their parts storage and deliveries since 1975. As a locally owned and family operated business, Expedited Transportation is proud to provide customers with warehousing solutions for your inventory as well as dependable delivery for your time sensitive packages and parts. Expedited Transportation has a 15,000 square foot, fully insured warehouse for your overnight and long-term storage needs. In addition, if your inventory needs to be shipped and delivered on a regular schedule, we're ready to assist your every need with same-day or next-day delivery. Our team of professionals is also available to help you oversee which parts are in storage and which parts are out in motion. By helping you manage these logistics, we are able to provide you with an organized and well-maintained overview of your inventory while also ensuring that your deliveries get where they need to be and on time. If your business depends on getting parts delivered to your clients on a regular basis and with short turnaround times, Expedited Transportation has worked with thousands of satisfied customers for more than 38 years. Our professional and trained crew of drivers are fast and dependable and our air freight solutions allow us to ship and deliver everything from important documents, parcels, small and large freight, pallets, and international hand-carry priorities within our customers' needed timeframes. For a cost effective alternative to your critical parts logistics in the Minneapolis area, please contact the professionals and Expedited Transportation at 612-721-9191 or dispatch@expeditedmsp.com. Our team is ready to answer your questions and to provide you with a cost estimate for your inventory storage and shipping requests.